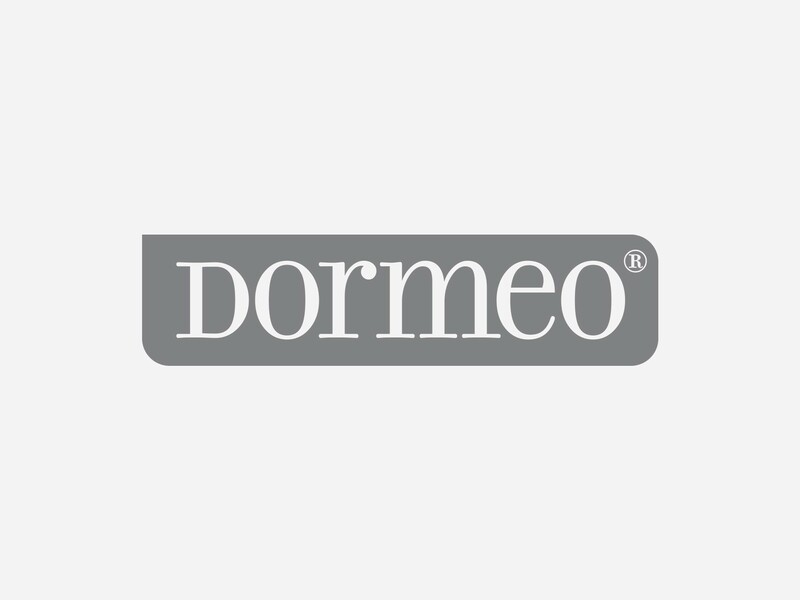 Get the best of the 2 most popular mattress technologies: Dormeo Air Select Plus is a state of the art hybrid mattress that combines Octaspring foam springs and traditional pocket springs. This remarkable mattress presents 20 years of sleep science with advanced foam technology and spring tradition – an innovation you just have to experience. Club5 biedri ietaupa €419,90 šai precei. Have you ever wondered which technology is the best for your sleep - foam mattress or spring mattress? With latest Dormeo mattress that is no longer a question. Introducing Dormeo Air Select Plus, the next generation in sleep technology! Made of the award winning Octaspring® honeycomb shaped foam spring combined with traditional pocket spring, this mattress is a state of the art technology with tradition people loved for decades. Dormeo Air Select Plus mattress is a hybrid: a high-end foam mattress with addition of metal springs. This combination of springs assures the best possible support you need and combines comfort with healthy alignment of your body. Made of award winning Octaspring® technology, supportive pocket springs, memory foam quilted into cover, 3 zones for perfect body support and reversible core, this mattress is crème de la crème of Dormeo mattresses. For optimal sleeping for couples, it has a dual core for French sizes so each spouse can choose its own firmness. The heart of the mattress as a layer of soft and flexible foam springs that always returns to its original shape, no matter how much pressure is applied. The Air Select Plus mattress features 3D adaptability – it moves three-dimensionally, cradling your body for ultimate support and relaxation. No matter what position you’re lying in – side, back or stomach – each spring will dynamically conform to the contours and movements of your body without creating pressure in any given area. Instead of pushing up and resisting your body’s force, the Dormeo Air Select Plus mattress accepts your body weight, and cradles you in total comfort. It has 3 different custom comfort zones with varying degrees of firmness for total body comfort. Firm springs inside that give you stronger support for your hips and lower back keeping the spine in perfect alignment. Air Select Plus mattress with its ergonomic design and features ensures the desired comfort adapting to the body and avoiding harmful pressure on muscles and skin. When sleeping in couples, people find hard to find a perfect mattress especially if one desires a firmer and other a softer mattress. With Dormeo Air Select that’s not an issue anymore. This mattresshas single and double core (2 separate cores in double sized mattresses from 160cm and up) both reversible. You can turn it around according to your sleeping preferences: pink side ishard and blue side is soft. When you share a bed it’s very common that your partners’ or spouses movement is interrupting your sleep. With supreme core of Air Select Plus you will have your own core so you will sleep tight and sound, without being waken up. 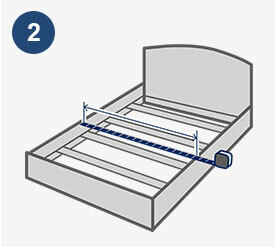 With additional layer of springs, the total height of the mattress is 23 cm. This makes your bed higher so you can sit down and get up much easier. And this kind of bed height is perfect for elderly. You may not realize how much we perspire when we sleep. 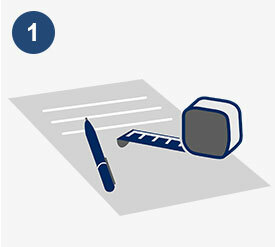 The average amount we perspire at night is a liter, so that’s seven litres in a week. Dry, safe sleeping environment is just as important as a proper spine support. This is why Air Select Plus has an efficient air ventilation system in the core and 3D Airmesh fabric on cover to keep your mattress airy and dry, preventing the onset of sweat, heat and humidity and ensuring that your sleeping environment remains optimally hygienic. The natural honeycomb design allows air to pass through freely, so the body heat and moisture are wicked away, keeping your bed cool, dry and comfortable. Besides being extremely ventilated, this mattress is enriched with so called Adaptive Treatment – a treatment that helps you sleep in ideal temperature conditions. The treatment enables natural thermoregulation and cools you down if you are starting to sweat during sleep. With everything that this mattress features you can enjoy healthier, better quality sleep while also prolonging the life of your mattress. Now you can get the sleep of your dreams on an ultra-comfortable, ultra-cool mattress with customized support to give you a restful, healthy night sleep. And a well-rested body means you’ll feel and look better than ever before. You’ll be less stressed, happier and ready to take on the challenges of a new day. Dormeo Air Comfort Plus is designed with 150 honey comb foam springs or more (depends on the dimension). Springs of various levels of firmness and 5 cm high are fitted at different sections of the mattress in order to match the needs of different sections of your body. 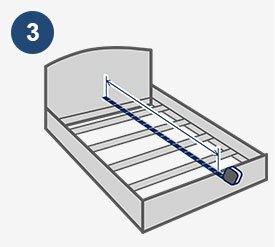 Dormeo Air Select Plus mattress has 2 types of springs places inside that differ in firmness: soft and firm. Firm grey springs are in the middle comfort zone and offer firmer support to your pelvic area. 2 outer zones are composed of softer medium firmwhite springs which offer softer support in shoulder, lumbar and leg area. Another layer of Ecocell to make a barrier between foam springs and pocket springs.